Yellow Take Your Pix® Board Book Photo Album. The YELLOW Take Your Pix® boardbook photo album has 10 sturdy pages, into which 20 photos can be inserted from an opening in the top of the pages. 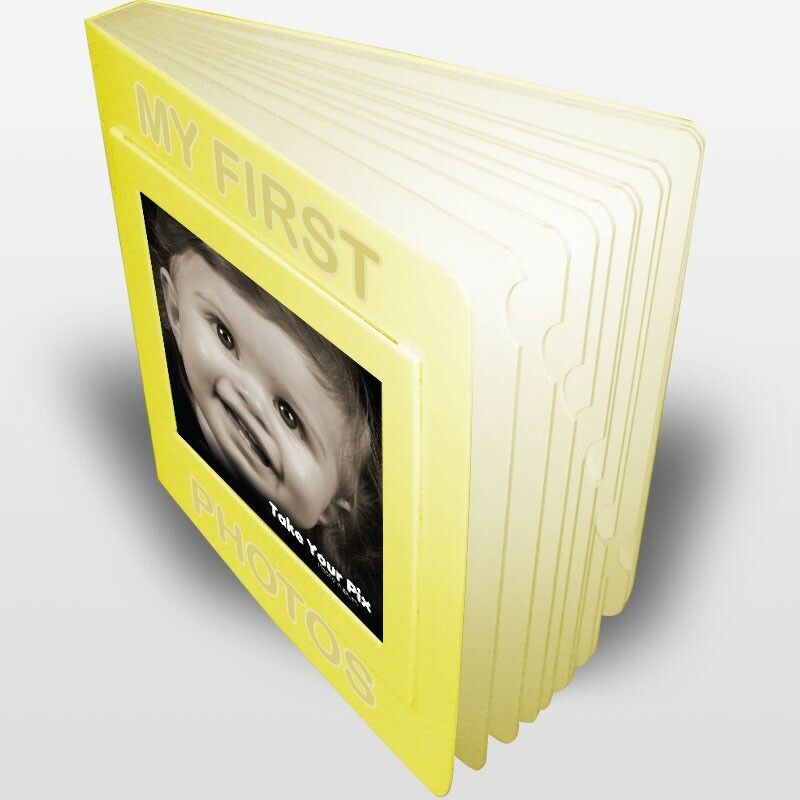 The yellow "My First Photos" album comes with yellow "My First Photos" lettering on the cover. Unlike traditional photo albums, our albums have thick rigid pages that are perfect for little kids to handle (like the chunky little kids board books). Notches have been added to the page edges to facilitate page turning.